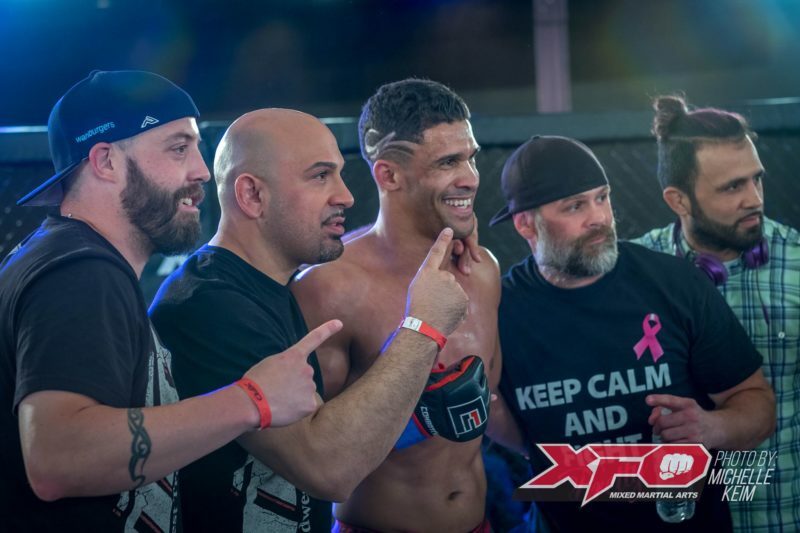 XFO 58 went down Friday night in Wisconsin before a packed crowd at the Grand Geneva Resort, and in front of fight fans watching on UFC Fight Pass. 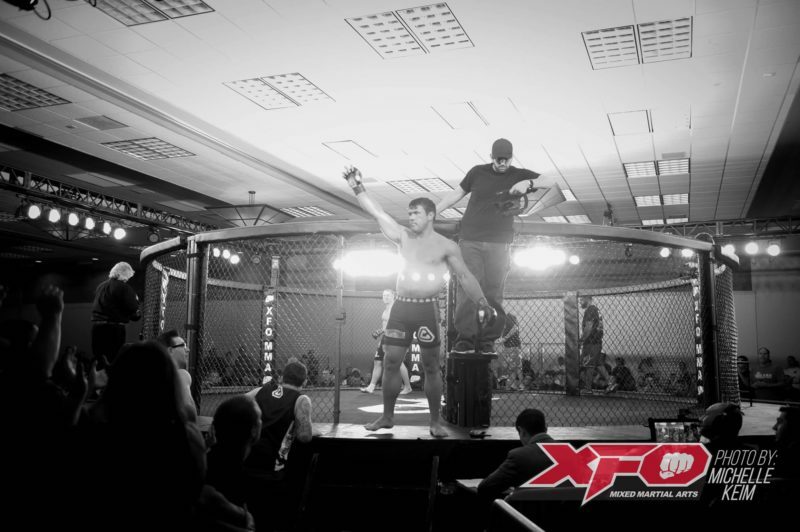 The card featured the inaugural XFO Strawweight Championship, the return of Rory Markham, and nine finishes in 11 pro fights. Let’s break down the action. Joey Diehl came out and immediately established his jab against Adam Roll, landing it continually while stalking Roll around the cage. Diehl mixed in some kicks and crosses, but the jab was the controlling factor throughout the first 90 seconds of the fight. Diehl feinted a cross with 3:20 left in the round, and when Roll bit Diehl changed levels and took Roll down, effortlessly getting right into side control. Diehl kept and improved his position, landing some sharp elbows in the process. From there he attacked Roll’s left arm, transitioning into a slick armbar that made Roll tap. “This is only the start. This (strawweight) division — we’re going to grow it. I’m excited,” Diehl told cage announcer Miguel Flores in his post-fight interview. Next up for Diehl could be a title defense against Miles McDonald, who was Diehl’s original opponent before withdrawing from the fight. 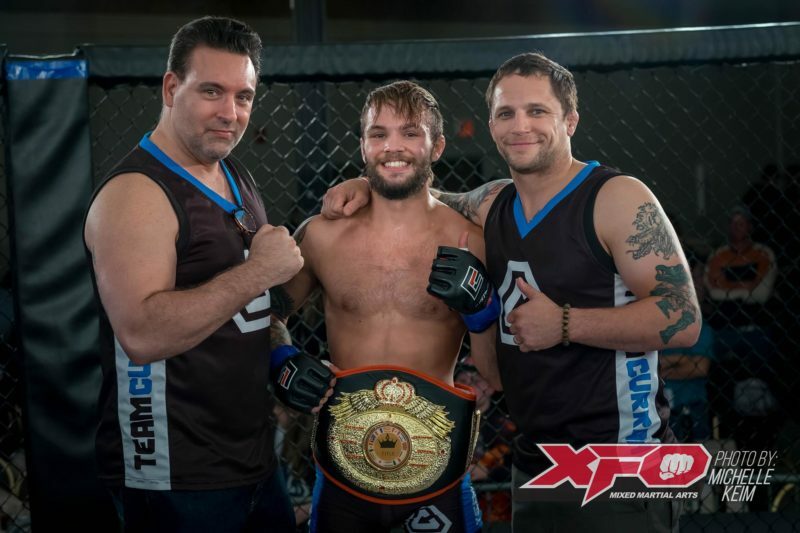 Rory Markham looked crisp in his first fight in over six years, battering opponent Brian Green in a rematch of their XFO 9 fight from over nine years ago. Markham wasted no time in claiming the cage, moving quickly to the center and firing off a combo that backed Green up. Green returned fire with a solid leg kick, but Markham walked right through it and landed a hard kick to Green’s midsection. Markham then displayed his speed with a beautiful combination that again backed Green up against the cage. Green tried to reply with a right hook, but Markham ducked under and countered with a left hook, then landed a 2-3-2 combo that put Green down. Markham pounced and landed a barrage of strikes that forced referee Otto Torriero to step in and stop the fight. His movement was fluid and there were no visible signs of ring rust, nothing that would make you think he had not fought in over six years. He moved to 17-6 with the win, still yet to need the judges in his pro career. There were plenty of scenarios in which a Damian “Pretty Boy” Norris win seemed feasible. Making a veteran of over 50 pro fights tap to strikes seemed the least likely, but that’s just what Norris did. Norris took Mickle’s back shortly into the fight, but Mickle was able to escape. Norris then landed a beautiful uppercut, and followed it up with a knee that hurt Mickle. Norris then turned it on, landing strikes with a sniper’s accuracy, seemingly knocking Mickle out on his feet several times. Norris landed another knee that snapped Mickle’s head back, then rushed him up against the cage. There he unleashed a series of right hands on a stunned Mickle and signaled the end was near. A well-placed, vicious elbow to the top of the head was all Mickle could handle, and he tapped out just 1:30 into the first round. It was a statement win for Norris, who moved to 7-2 and could possibly get ‘The Call’ following this masterful performance. Rashad “The Brick” Brooks stormed out of his corner and wasted no time in landing some bombs on Rothwell MMA’s James Bochnovic. He put Bochnovic on his back just :10 into the fight, then unleashed some ground and pound that looked like it might finish Bochnovic early. But Bochnovic was able to get to full guard and slow Brooks down. Once he got to his feet, it was a completely different fight. Bochnovic found his range and started peppering Brooks with a variety of strikes from both the orthodox and southpaw stances. Brooks seemed a bit gassed, and Bochnovic landed a big knee to Brooks’ head at about the halfway point of round one. Brooks went down and Bochnovic let loose with a series of punches, but Brooks somehow survived and the fight went on — but not for long. The fight got back to the feet and Bochnovic landed more knees and elbows, which put Brooks down again. He continued to strike, then took Brooks’ back and choked him out. Bochnovic showed tremendous poise and skill in what was a thrilling victory. Marciea Allen ramped up her output round over round, and really got loose in round three of her fight against Moriel “The Mo-Chine” Charneski, battering and bloodying Charneski en route to a unanimous decision win. Had Allen been fighting anyone else she would have likely registered a knockout, but Charneski featured an amazing chin and determination in making it to the final horn. The Adrian Ortega vs. David Garcia was more tactical than thrilling, and the fight ended in the rare split decision draw. Garcia’s game plan was to make Ortega work on the ground in order to stay away from his power. It worked to a degree, but he wasn’t able to do much damage to Ortega, who defended very well off his back, and even caught Garcia briefly in an inverted triangle. Garcia’s work left Ortega unable to get his power-striking game in gear, but he fought to a draw after spending a lot of time in bottom position. I’d love to see them run this back. Perhaps at the Outdoor War in August? Cory Galloway dominated Jordan Hernandez, opening up with heavy leg kicks then scooping Hernadez off the ground with a double-leg and putting him on the mat. Hernandez fought valiantly off his back, maintaining his guard and prohibiting Galloway from posturing up and unleashing strikes, but Galloway was able to secure a triangle choke and finish the fight at 4:21 of round one. Sultan Umar once again proved why he is a prospect to watch, making Kevin Tjaden tap to strikes at just 1:12 of the first round. Tjaden shot on Umar right away, but Umar sprawled and easily took top position. Tjaden tried to defend but Umar eventually posted up. Tjaden went for an armbar that Umar easily shook off. The fight got back to the feet where immediately shot again, but Umar again sprawled and then ripped up Tjaden with a series of right hands that made him tap. Luke Cherep had a successful pro debut, needing just :34 to make John Akers tap from a rear naked choke. Cherep needed little time in getting Akers to the ground and hopped right into mount. From there he delivered some right hands that made Akers defend, and that’s when Cherep slipped in the choke and finished the fight. Like Markham, Cherep has yet to need the jusdges throughout his eight pro and ammy wins. James “Ryot” Waller set the tone for the pro card by knocking out Andrew Potapenko at 1:00 of the round one. Waller landed a short right that administered a flash knockout of Potapenko, but the gritty Potapenko survived. Waller put him down with another right hand, but Potapenko got up again. But one more short right hand made Potapenko faceplant, and Waller earned the KO win.